It contains exact details of the preparatory work, the organising and the conduct of the Games, and also a review of the attendant administrative work. This book could naturally not be commenced until all matters had been settled and the entire organisation in the main wound up. This fact constitutes a reason why it was not possible to publish this work until some time after the Games. The compiling of this work was entrusted to the so-called winding-up committee consisting of Baron SCHIMMELPENNINCK VAN DER OYE, LL.B., Chairman, Mr. G. VAN ROSSEM, Secretary-General, and Mr. P. W. WALLER, Treasurer General; while later Mr. A. B. 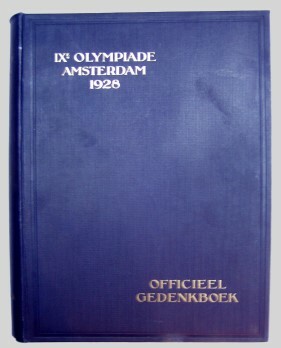 VAN HOLKEMA, member of the Netherlands Olympic Committee (Committee 1928) was added to this winding-up committee, specially in an advisory capacity in connexion with the publication of this book. For the redactorial work we secured the services of Mr. W. J. M. LINDEN. The various chapters ware based on the reports of the Sections and the reports of various persons and committees who assisted in organising the Games. May we at this juncture express our thanks to all those who in any way contributed to make the compilation of the Official Report a success. 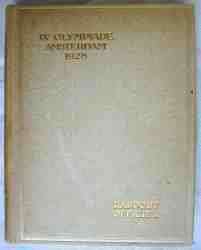 It is being published in Dutch, French and English, and is not only intended as a souvenir but it is also intended to serve as a guide for the organising of future Games, which are becoming more and more extensive; and the difficulties with which they are attended must on each occasion be overcome by new Committees. May this book prove of assistance to them.